Are you running a blog, a business or an eCommerce website? Are you satisfied with your traffic and conversion? We bet your reply is “it could be better”. This is a good answer. The problem is that you can’t just keep using only old, time-tested marketing and SEO strategies. The competition has become tougher, search engines have become smarter, and methods that used to worked yesterday are mostly outdated today. We have tried to compile here a SEO guide for you, outlining the best applicable practices from 2017 onwards. Please take a look at it and make changes to your blog, business or eCommerce website as necessary. For starters, are you sure that your website design is irresistibly appealing? When was the last time you took the time to rebrand it? Visual aesthetics and perfect usability are crucial these days, so you better check this out first. You might check some design marketplaces like TemplateMonster. They sell templates for each and every web design niche and all popular engines (Magento, PrestaShop, WordPress, Drupal…), so you will get a healthy dose of inspiration and possibly a top-quality template to upgrade your website or build it from the scratch. Their templates are already SEO optimized, which means getting higher Google rankings should be a snap. Don’t forget to use our exclusive coupon code TOP10ECOMMERCESOLUTIONS to get 15% off any order on TemplateMonster. Let’s return to our 2017 SEO tips. Internet is becoming a greater destination for mobile users. Is your website ready for the shift? Most of the recent SEO recommendations are centered on mobile trends. Do you still use those intrusive interstitials/annoying popups on your site? Then your site may be penalized by Google. What do you need to do to avoid this? Try to remove any popups or intrusive ads. Are interstitials key pieces of your revenue model? Then, the best solution may be to replace them with banner ads. Another option is a stationary sidebar ad. Beware of Possum! Possum is one of the most significant updates made by Google at the end of 2016. This animal particularly affected local SEO. In other words, businesses that are not located within a specific area now have a much better chance of ranking well. For example, if your restaurant is located near some city, it has the possibility to rank when that city’s name is used in a search query. Your IP address matters. Again due to Possum, Google now considers a user’s IP address when generating search results. This is the search engine’s way of taking care of people browsing the Internet from their mobile gadgets.This way mobile device users (who are on the go) can get more accurate results when performing a search based on their current location. What do you need to do? Step into the user’s shoes. Test your website as a user within the region of the business instead of testing it by Googling the business name and location. Doing so will place you in a more beneficial position unlike your competitors still basing their strategy primarily on keywords, which is an outdated strategy at this point. Mobile Optimization or Accelerated Mobile Page is another significant SEO ranking factor. Google initiated the AMP project which introduces a lighter version of a website, designed especially for mobile devices. Surfing the net from mobile devices makes up nearly 30% of all searches through Google every day and this number continues to grow. This is a good reason why you must ensure that you configure your website appropriately for pages and post to display an AMP version. Do you have an SSL Certificate? Having an SSL certificate was only important for eCommerce websites or if you collected information that needed to be encrypted, such as credit card information, SSN, etc. Today, it has all changed since Google has officially announced that they will flag any site without an SSL certificate as an insecure one. An SSL certificate costs nearly $60 per year, but you can look for free options out there: Flexible SSL by CloudFlare and Free SSL by Let’s Encrypt. How long does it take your website to load? Google has officially announced that one of the key SEO ranking factors for this year is the website loading speed. An average user is expecting that your site will load within 2-3 seconds. Does it take your site more time to load? You could be losing prospective customers as nobody likes to wait. Page loading speed is a very important aspect affecting your conversion rate. You can try out GTmetrix to get awesome recommendations on how to reduce your website’s loading speed. Do you use longtail keywords? It is rather difficult for new bloggersb who are inexperienced in SEO and simply lack knowledge about it, to find the best keywords to target for. We advise you to use longtail keywords to rank higher on Google search results. What are longtail keywords? They are basically those formed by three to four words. These are the least competitive keywords since they don’t have as high search volume as keywords that are only formed by one or two words, therefore, it will be easier for you to rank higher for those. Meta Title. It should include your targeted keyword somewhere at the beginning, and be less than 75 characters. Meta Description. This tells search engines what your page or article is about, it needs to include your targeted keyword and must be between 100 and 160 characters long. Content length and Relevance. Your content must be original and have at least 800 words, but the more text you have, the better. You will get more appreciation from Google for your endless texts. Please bear in mind that you will be penalized for using someone else’s content. The last, but not the least point we are going to discuss here, is backlinks. They are one of the most important off-page reference factors to calculate a domain’s authority, which can definitely help your site rank much better in all search engine results. Backlinks are usually placed on high authority and reputable websites. They are just reference links to your website or one of your blog posts. They work to gain you good reputation and authority. 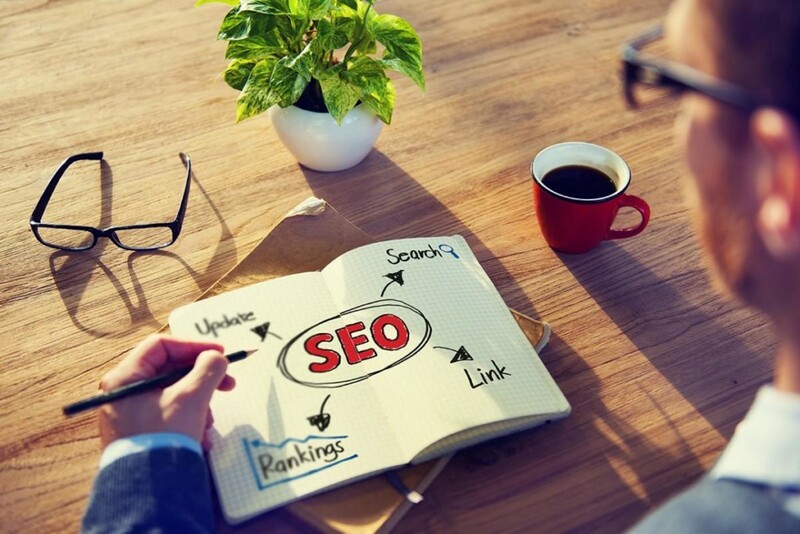 There are two main types of backlinks that can be used as SEO ranking factors. They can cause a different impact on your website ranking. You surely know that there are do-follow, and no-follow links. Please remember that they should be appropriately balanced in order to avoid a Google penalty. DoFollow links tell the search engines that they can follow the link to your website just as humans can do. This is how you can increase domain authority: the more DoFollow backlinks you get, the more beneficial it is for you. Actually, the authority of those websites linking to you improves your website ranking. Anchor text is also considered as a very important SEO ranking factor. Anchor text is basically a DoFollow backlink with a targeted keyword. This is the most frequent way to make someone allow you to get a backlink from their blog or website. NoFollow links tell the search engines that only humans can follow these links to your website, but not the search engine itself. When are they used? They are used mostly when you want to link to a website but you don’t want to give them full backlink power. This type of backlink is also important when you are working on a SEO campaign when you need all your backlinks to look natural in order to avoid penalizations. Besides, making sure that you have as many DoFollow as NoFollow backlinks will keep things balanced for you and help you stay on the safe side. Did we cast some light on working SEO strategies in 2017? Was this brief guide useful to you? Do you have any more questions on the topic? Would you like to add any items to our list or share your own successful SEO optimization experience? The comments section is all yours.